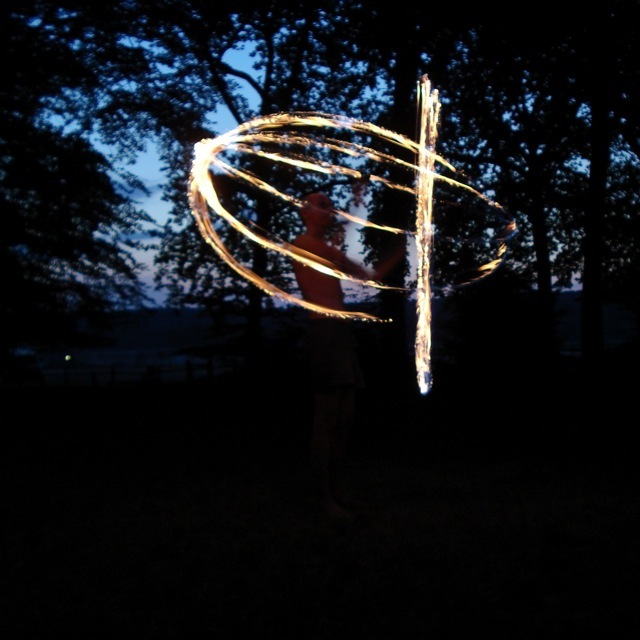 "Poi" is the word for a kind of dance - which is about swinging a weight tied to the end of strings. Resembling martian arts and stemming from the time when strings and balls were used for hunting, the dance became an artistic profession in its own. I spent time in Fontainebleau at about 1995 when I first saw it. Two swedes who had been travelling the East were very capable. I learnt the basics from them, and after my return to Germany I continued to explore this art. 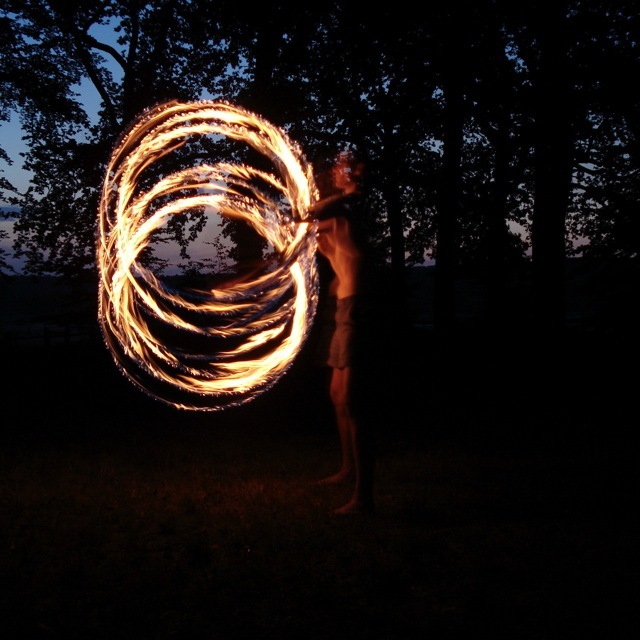 The wonderful thing about poi is that you can invent many (or most?) of the tricks on your own. From the two swedes I inherited a particular style that they were doing it in. I have yet to see somebody else moving so organically and aesthetically as them. At one time, I decided to perform in front of a corporate event and put together a routine. "Sky Inside A Room" from "Dust" turned out to be the perfect piece of music, by its atmosphere, pace, dynamic and relative calmness. There is no video, but the performance in front of about 400 people was a full success, and sometimes people mention it when they see me, even if some ten years have passed since then. I am also a decent juggler of three clubs - but that night was when I first realized that my juggling performance gets worse in front of an audience, while my poi gets better. That's a very peculiar experience, and I explain it with jugging absolutely depending on precise coordination, and Poi depending on rhythm and style. 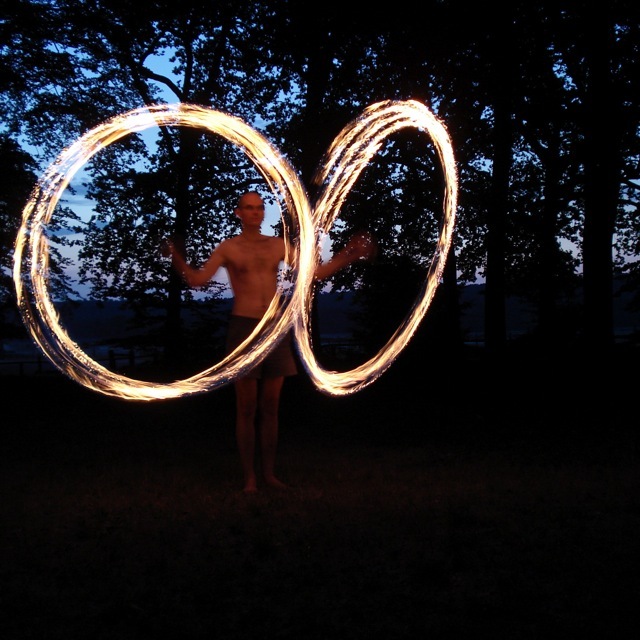 The best thing about Poi is that it is relatively easy to learn, and easy to show. I have taught it maybe twenty people and it is great fun.